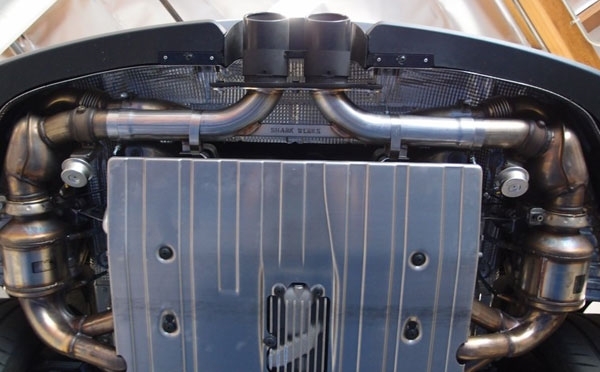 The new Shark Werks 991 GT3/RS Sport Exhaust dramatically improves the sound of any 991 GT3 or GT3RS or 991.2 GT3. Much like previous GT3 models, the 991 version is just a tad too docile in stock form. This is in large part due to the strict sound-level restrictions in Europe and hence the factory deemed fit to equip these cars with a total of three mufflers again. With our Muffler Bypass System we believe we have addressed that and not only uncorked the beast that is the GT3 motor but also reduced a real 16 pounds off of the rear end in the process. This has been achieved without sacrificing the drivability or diminishing the aesthetics. Installation can be performed in around an hour without any rear bumper removal. 3-D CAD designed with optimal flow, fit, weight savings and sound enhancement, our system replaces the center muffler on any 991 GT3. By utilizing appropriately-sized diameter tubing and straightening out the flow we achieved our desired sound and minimized resonance. Our direct bolt-on exhaust installs into the factory location without any modification or compromise and is completely reversible. Although we do not guarantee or make any crude horse power claims (let's face it Porsche did a wonderful job already on this one) we can assure you that you have not likely heard a GT3 sound like this before. By retaining and re-using the stock side mufflers and valves you are also able to continue to use the factory "sport button" valve feature to open/close and send the exhaust gases through the sides for a similar to stock sound when you want to cruise and be akin to stock or then bypass the sides for a more exotic sound. 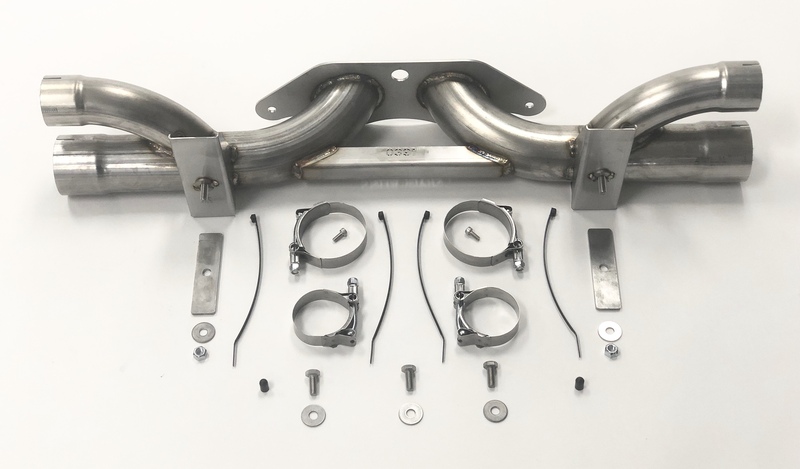 As with all previous Shark Werks exhausts this system is 50-state emissions compliant but also does not cause any check engine lights (MIL Codes) as it is designed to continue to operate with the factory catalyst and emissions equipment. 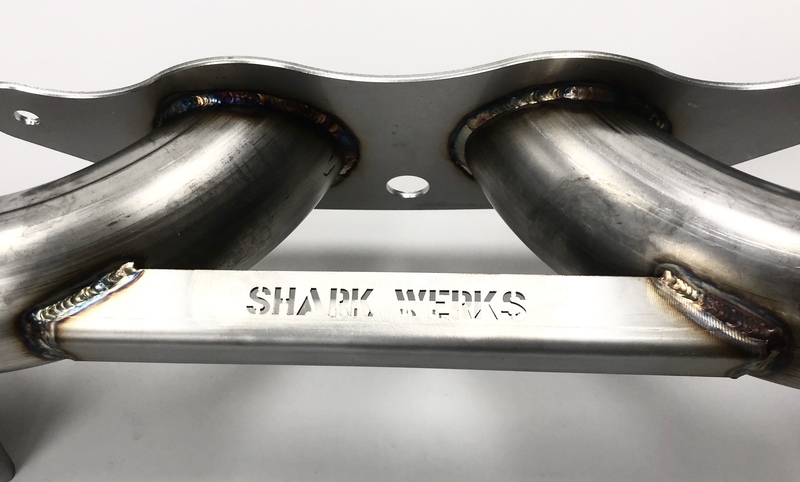 Designed and crafted in Northern California, the Shark Werks exhaust utilizes stainless- 18 gauge T304 tungsten inert gas welded stainless steel with mandrel bends and factory equivalent hardware. 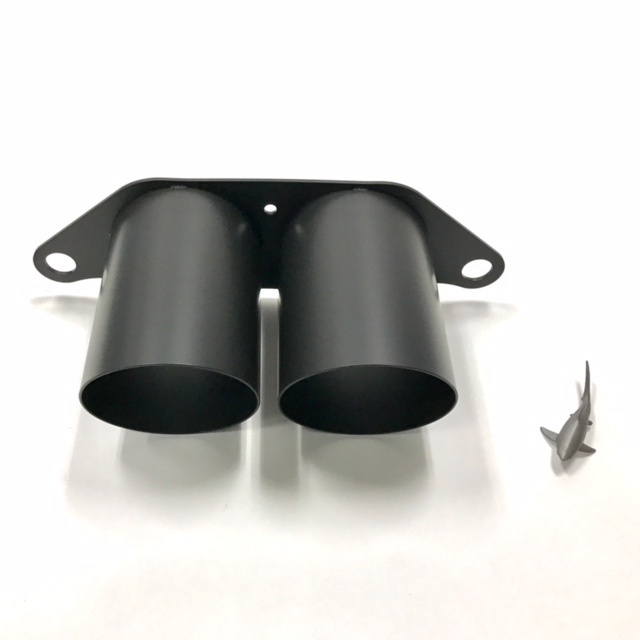 * Optional black ceramic "Hot" coating is available for additional cost ($230), please specify when ordering if you would like the unit black instead of raw. - Use the non-sport mode to allow flow through the side mufflers for minimal additional interior noise and highway or daily driving. For a more "racey" look optional 100mm tips (also available in raw stainless steel). 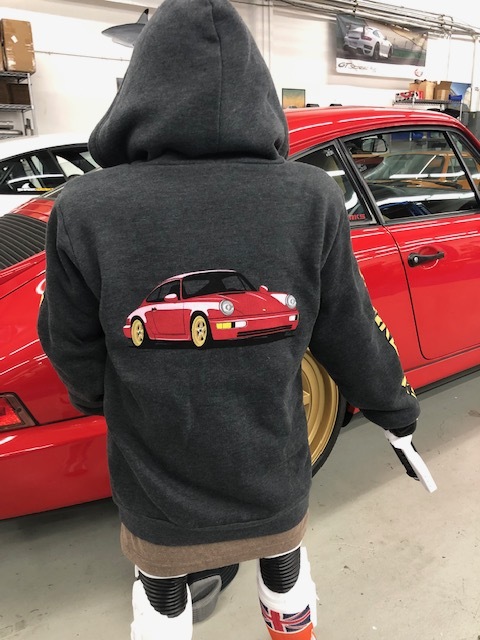 Fits 991 GT3 and GT3RS models. 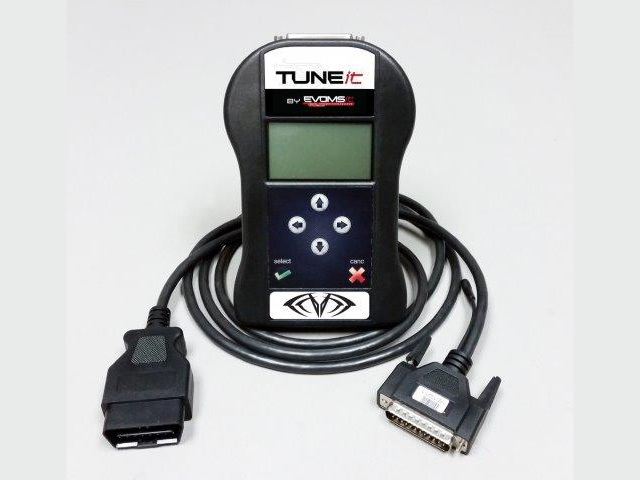 991 GT3 RS Independent Dyno*:* Note : Shark Werks does not make claims or guarantees that this product increases horsepower, but independent dynos have consistently shown no decrease in horsepower or torque, and have shown small gains in both in the upper RPM ranges.